Momtrends is so excited to be part of the #LenovoMoms group sharing our experiences testing out the latest tablets and how this cool technology can be used in our busy lives. Tomorrow at 1pm EST we will be chatting, along with Lenovo and Techlicious, about how you can get more out of your tablet. This will include a chat about our go-to fashion and beauty apps. how to use your device to get a second opinion while shopping and our favorite fashion cases for mobile devices. We will also chat about how Lenovo&apos;s new Yoga tablets, the Yoga Tablet 8 ($249) and Yoga Tablet 10 ($299), can help you get more done with their multiple modes. thanks to its extremely long battery lifeup to 18 hours. The battery is so powerful that Lenovo provides the option of charging your smartphone on-the-go via the tablets&apos; micro USB port. 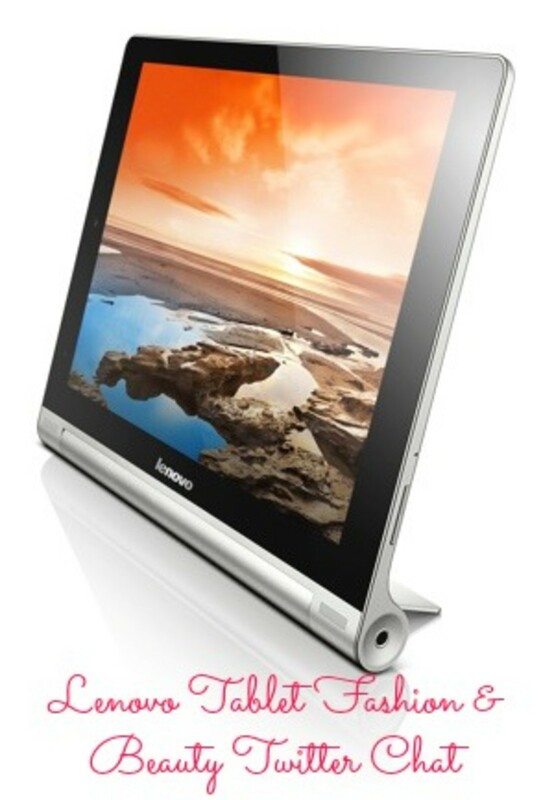 During the chat Techlicious will also be giving away two Lenovo Yoga Tablet 8 Android tablets. We will randomly select two (2) winners from the entries. No purchase is necessary to win. Void where prohibited. U.S. residents only. Momtrends is a proud to be a part of the Lenovo Moms team. This is a sponsored program.